SAQA and NQF aligned, both divisions are registered and accredited. Established in 2003, Training Force is an accredited training provider. We focus on providing industry and job specific skills assessment and training interventions across all industry sectors with our training programmes aligned with SAQA standards and SETA accreditation. As an accredited company, the scope of Training Force’s courses lead to nationally recognised qualifications. Training Force maintains local and international skills development partnerships focused on ‘vocational technical training’, linking training to industry. Its service capability involves continuous professional development of employees. 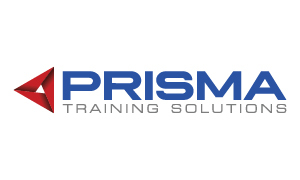 Prisma is a specialist training service provider to the mining sector. The company was established in 2007, and since then we have trained more than 40 000 learners in underground and opencast mining, team development and supervisor development. We are accredited for full qualifications, skills programmes and more than 400 Unit Standards with the Mining Qualification Authority. Focusing on the ever-increasing importance of safety, health, environmental- and community learning and compliance, KBC originated in South Africa with an extended footprint into SADEC countries. Specialising in the mining, construction, telecommunications and manufacturing sectors, our primary focus is on managing contractor risks and providing systems to track compliance on site. We provide first-class training, consultation and broad product range driven by cutting-edge technology. 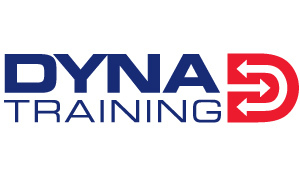 DYNA Training (Pty) Ltd est. 1976 is an award winning* provider of management and supervisory skills development programmes and learnerships throughout Southern Africa. DYNA’s value proposition is unique in that it offers practical results driven training while at the same time addressing BBBEE and scorecard requirements. DYNA assists clients in identifying those critical skills required to make their strategy “come alive” and then directs focused learning interventions to ensure execution. Learning transfer is achieved through DYNA’s advanced learning methodology and workplace coaching. Our programmes have become a leadership benchmark for many top 300 companies and offer learners progression through the NQF levels. Above all DYNA has established a reputation for delivering high impact learning interventions at an operational level. 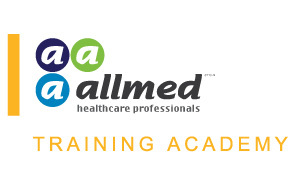 Allmed Training Academy assists public and private nursing institutions by providing them with top candidates that meet all the statutory requirements for entry into the various nursing qualifications. Candidates will all have been assessed on their basic competencies on the NQF level 4 framework. Nursing institutions make their selection from candidates who fit the criteria and that best meets their needs. Interactive training and lessons from ethical hackers are what ensure deep understanding and long-term Cyber Academy course retention. Our multi-media approach clearly educates attendees on the do’s and don’ts of using business IT infrastructure. Detailed booklets ensure nothing is forgotten and good habits are fostered company wide.